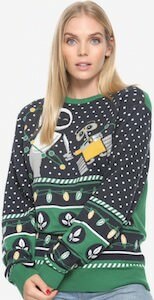 This holiday season you can celebrate with birds all thanks to this Women’s A Row Of Penguins Christmas Sweater. 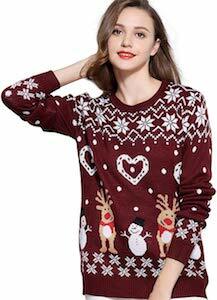 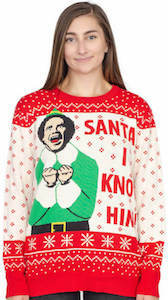 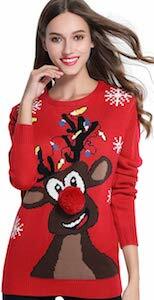 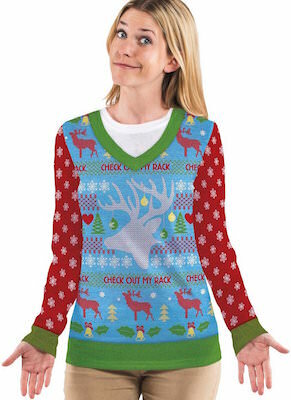 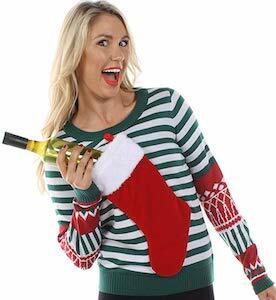 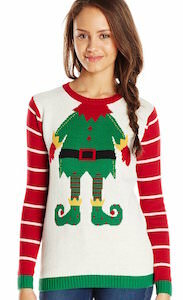 The holiday sweater is red and available in women’s sizes Small – 2XL and are made from 100% acrylic. 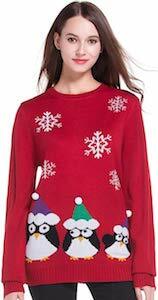 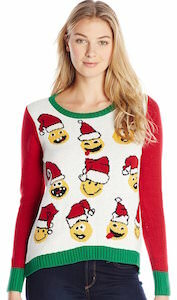 On the front of the ugly Christmas sweater you can see some snowflake coming down and on the bottle part you can see 3 penguins and they are wearing a festive holiday hat in fun colors. 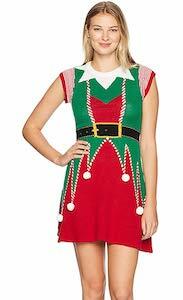 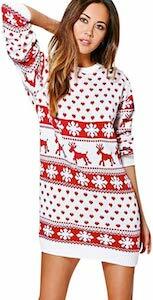 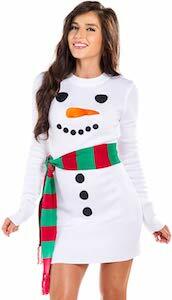 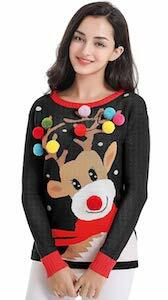 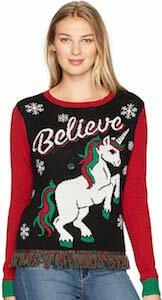 With a sweater like this you are ready for the holidays as you can wear this the whole month or just for a holiday party.